Welcome to Social Print Co.
See What makes us awesome! We’re a full service open air photo booth company that specializes in creating and capturing moments in time. By combining a fun atmosphere, beautiful photos, and the instant gratification of on-site printing, we add a spark of excitement to your event. Providing the best wedding photo booth rentals in Baltimore MD, Annapolis MD, Washington DC, and surrounding areas. Our compact, modern and minimalistic open air photo booth has been designed with your event in mind. We ditched the bulky enclosed concept and decided let everyone join the fun. 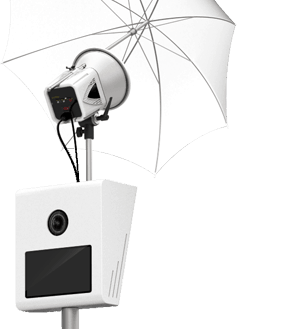 This allows for better lighting, custom backdrops, larger groups, and ultimately a better experience. Simply, The Best Wedding Photo Booth Available. 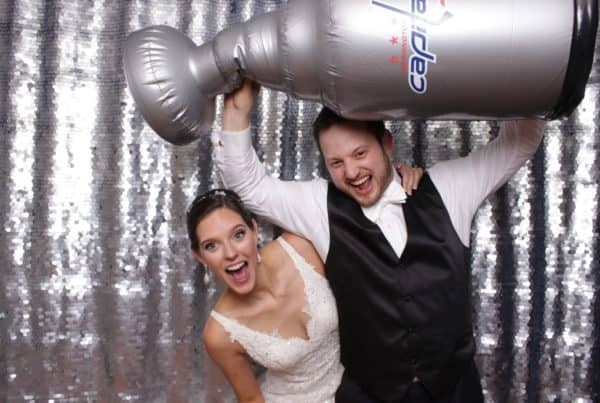 Looking to add some fun at your wedding reception? Our open air photo booth is sure to be a hit! In just the matter of seconds, your wedding guests will receive professional quality prints custom branded to match your big day. Guests can instantly text their photo booth pictures to their mobile phone too! In additional to the instant prints, all high definition photos are hosted online for guests to download free of charge! Add our open air photo booth services and take your wedding to the next level! Looking to add some fun at your corporate event? Our open air photo booth is sure to be a hit! In just the matter of seconds, your corporate guests will receive professional quality prints custom branded to match your company. Guests can instantly text their photo booth pictures to their mobile phone too! In additional to the instant prints, all high definition photos are hosted online for guests to download free of charge! Add our open air photo booth services and take your corporate event to the next level! Looking to add some fun at your anniversary party? Our open air photo booth is sure to be a hit! In just the matter of seconds, your guests will receive professional quality prints custom branded to match your anniversary. Guests can instantly text their photo booth pictures to their mobile phone too! In additional to the instant prints, all high definition photos are hosted online for guests to download free of charge! Add our open air photo booth services and take your anniversary party to the next level! Looking to add some fun at your Bar/Bat Mitzvah? Our open air photo booth is sure to be a hit! In just the matter of seconds, your Mitzvah guests will receive professional quality prints custom branded to match your big day. Guests can instantly text their photo booth pictures to their mobile phone too! In additional to the instant prints, all high definition photos are hosted online for guests to download free of charge! Add our open air photo booth services and take your Bar or Bat Mitzvah to the next level! Looking to add some fun at your Sweet 16 party? Our open air photo booth is sure to be a hit! In just the matter of seconds, your Sweet 16 guests will receive professional quality prints custom branded to match your big day. Guests can instantly text their photo booth pictures to their mobile phone too! In additional to the instant prints, all high definition photos are hosted online for guests to download free of charge! Add our open air photo booth services and take your Sweet 16 to the next level! Looking to add some fun at your class reunion? Our open air photo booth is sure to be a hit! In just the matter of seconds, your old classmates will receive professional quality prints custom branded to match your school. Guests can instantly text their photo booth pictures to their mobile phone too! In additional to the instant prints, all high definition photos are hosted online for guests to download free of charge! Add our open air photo booth services and take your class reunion to the next level! Looking to add some fun at your holiday party? Our open air photo booth is sure to be a hit! In just the matter of seconds, your guests will receive professional quality prints custom branded to match the holiday season. Guests can instantly text their photo booth pictures to their mobile phone too! In additional to the instant prints, all high definition photos are hosted online for guests to download free of charge! Add our open air photo booth services and take your holiday party to the next level! Looking to add some fun at your graduation party? Our open air photo booth is sure to be a hit! In just the matter of seconds, your classmates will receive professional quality prints custom branded to match your graduation year and school. Guests can instantly text their photo booth pictures to their mobile phone too! In additional to the instant prints, all high definition photos are hosted online for guests to download free of charge! Add our open air photo booth services and take your graduation party to the next level! Looking to add some fun at your school dance? Our open air photo booth is sure to be a hit! In just the matter of seconds, your students will receive professional quality prints custom branded to match your prom or homecoming. Students and staff can instantly text their photo booth pictures to their mobile phone too! In additional to the instant prints, all high definition photos are hosted online for guests to download free of charge! Add our open air photo booth services and take your school dance to the next level! Looking to add some fun at your engagement party? Our open air photo booth is sure to be a hit! In just the matter of seconds, your guests will receive professional quality prints custom branded to match your engagement. Guests can instantly text their photo booth pictures to their mobile phone too! In additional to the instant prints, all high definition photos are hosted online for guests to download free of charge! Add our open air photo booth services and take your engagement party to the next level! Looking to add some fun at your fundraiser? Our open air photo booth is sure to be a hit! In just the matter of seconds, your guests will receive professional quality prints custom branded to match your fundraiser. Guests can instantly text their photo booth pictures to their mobile phone too! In additional to the instant prints, all high definition photos are hosted online for guests to download free of charge! Add our open air photo booth services and take your fundraiser to the next level! Looking to add some fun at your grand opening? Our open air photo booth is sure to be a hit! In just the matter of seconds, your guests will receive professional quality prints custom branded to match your grand opening. Guests can instantly text their photo booth pictures to their mobile phone too! In additional to the instant prints, all high definition photos are hosted online for guests to download free of charge! Add our open air photo booth services and take your grand opening to the next level! Thanks to smart phones, more photos are being taken today than ever before! Guests simple snap photos on their phone wherever they like at your event. Your guests then post their own photos to social media networks such as Instagram and Twitter using the designated event #hashtag. Everyone loves free prints! In less than a minute, guests can snap, tag, and collect their custom branded prints to take home as a keepsake. We take pride in providing a unique and unforgettable experience for your guests. Every print, text, post, tweet, email and more are always customized to match your event or brand. We love our clients and pride ourselves on not only our awesome photo booths and hashtag printers, but our awesome customer experience leading up-to, during, and after your event. Our luxury open air photo booths always offer guests the highest quality, professional prints within just seconds to take home and cherish for years to come.